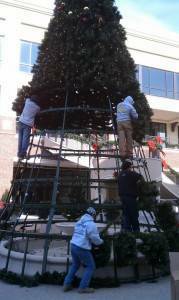 The experts at Downtown Decorations, Inc are experienced in the challenges and difficulties of installing commercial / municipal holiday decor. All clients are different, and each project is unique in application and tactical approach. In many instances Downtown Decorations, Inc. will provide full installation support for your project or decor purchases - however in some instances clients wish to install their own decor, use a local ground/property management company, or separately source out this segment of their project. In this case - Downtown Decorations, Inc. provides full written and verbal support. We will work with you and your assigned team to provide the highest level of implementation and installation support. 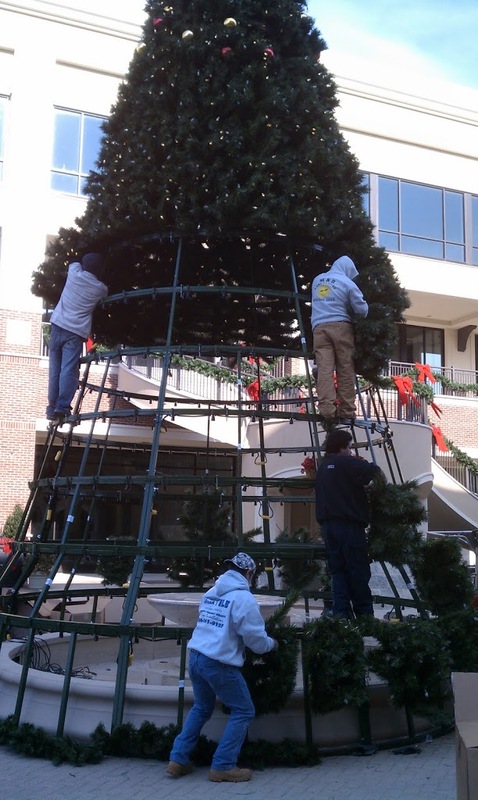 All Downtown Decorations, Inc. products are provided will full written installation manuals detailing step-by-step the process to safely and effectively install your decorations. The most important advice we can impart is - even if you did not purchase your decor from Downtown Decorations, Inc. we are committed to our industry and to public safety and as such, we ask that you please call us first prior to implementing decor without guidance or consultation - we know the risks and do not want to see your staff or visitors injured. We are happy to lend a helpful ear or provide specific support solutions. Trust experience, trust safety, trust the experts at Downtown Decorations, Inc.